Initially we have to use other plugins to use this feature in MS CRM earlier versions but now in MS CRM 2015 web client is also available by MS it self. 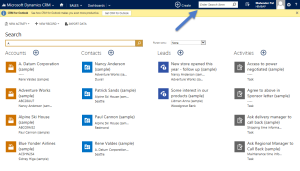 User can see the box in top right navigation bar , there you can enter the text for searching and MS CRM 2015 will provide the results with related entities list . You can further filter records with Filter With dropdown is just next to Global Search Text Box. You can add maximum 10 entities for global search using select button, and also can change the order of entities in which they appear while searching . 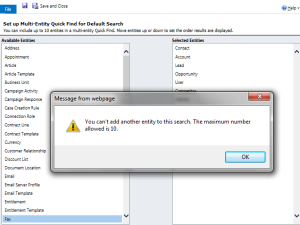 Internally global search use quick find column to search data.